As far as JDM Wheels Collaborations go, the Watanabe RS8 has to be the greatest one. 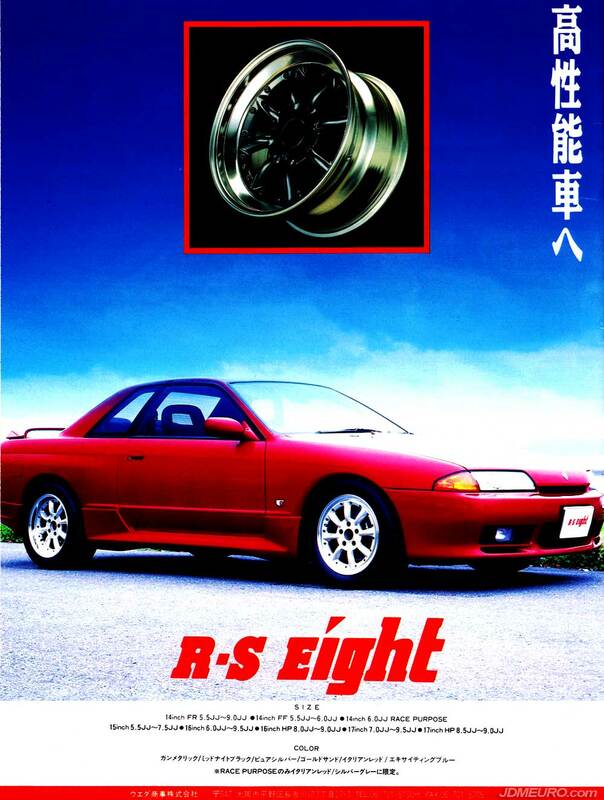 Two of the oldest JDM Wheel manufacturers, Watanabe Wheels and SSR Wheels (Speedstar Racing), came together to create the Watanabe RS Eight by SSR Wheels. The Watanabe RS8 is a two piece wheel featuring the signature Watanabe 8 banana spoke design bolted to a 16 bolt SSR Barrel. 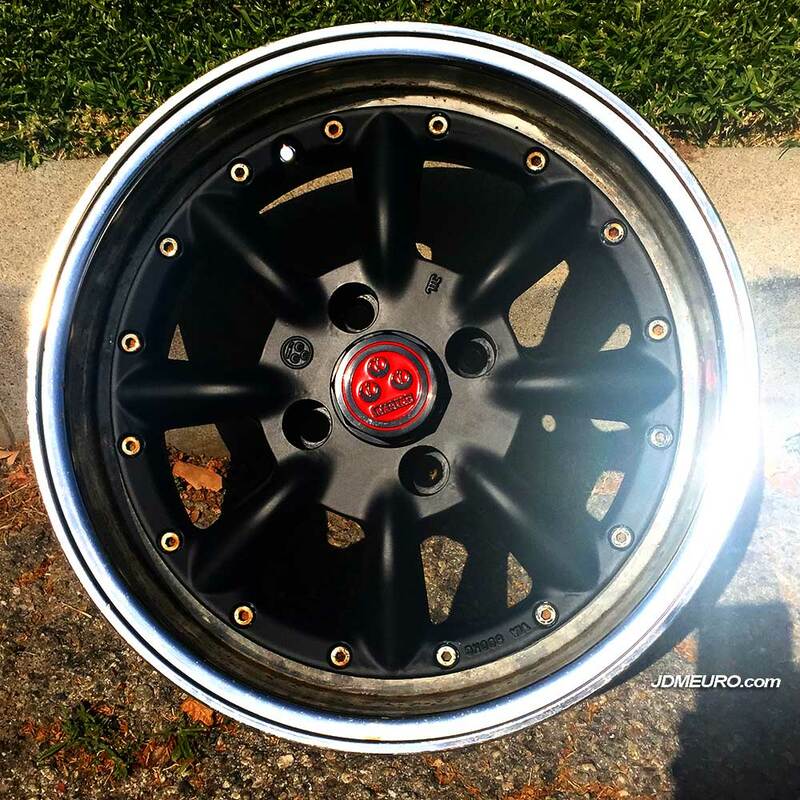 Pictured here is a test fit of a small diameter octagon Watanabe center cap mated to the Watanabe RS Eight, which ironically actually is not the correct part; however it did fit and look great.